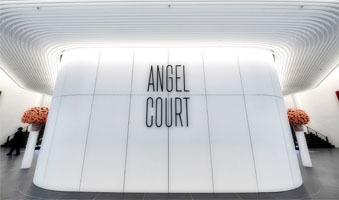 Angel Court, designed by Fletcher Priest Architects, is a 1970’s tower that has been through a major redevelopment, replacing all but its core, transforming it into a landmark 300,000 ft2 prime office building in the heart of London’s financial district next to the Bank of England. 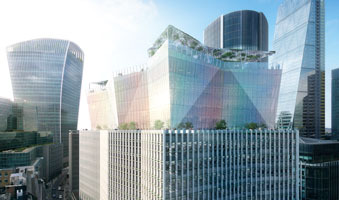 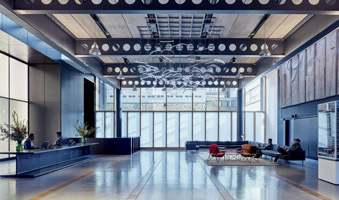 The 25-storey scheme provides high quality office space with floor plates up to 27,000 ft2, five terraces and uninterrupted 360-degree views of London’s skyline. 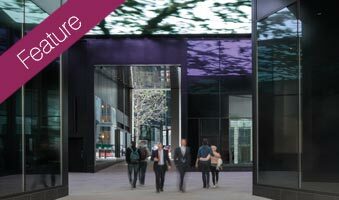 civil and environmental consultancy services. 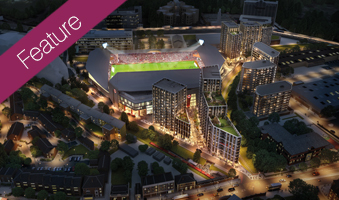 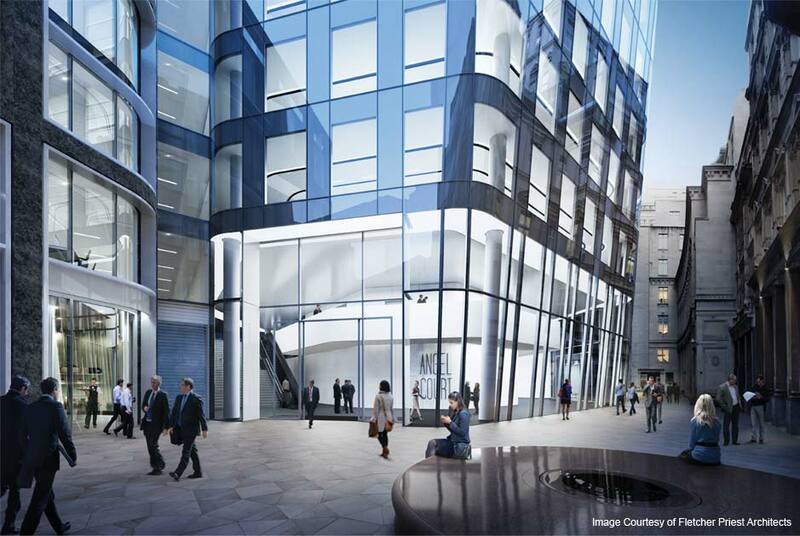 Our team worked closely with Mitsui Fudosan UK and development partner Stanhope Plc to deliver the scheme. 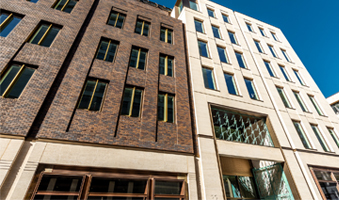 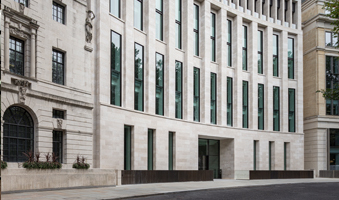 The sustainable and innovative design solutions have made this an exemplary project, one of the first London City commercial offices to secure a BREEAM 2014 Excellent Design Stage Assessment as well as an EPC A rating. 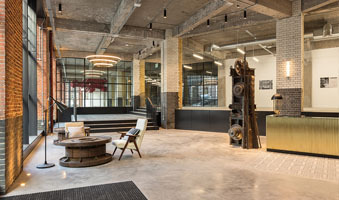 The construction carbon footprint was significantly reduced through innovative design solutions that enabled retention of the original core and re-use of original foundations and basement structure.